Wise words from my son (who’s name is not Luke btw). I got to see the Tantive IV and Rebel Transport up close at the weekend, they’re all sorts of awesome. 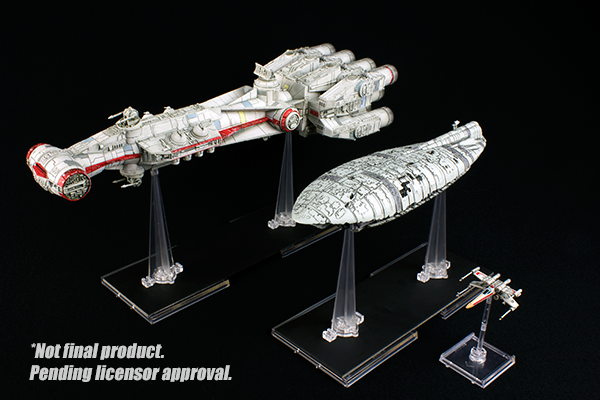 We NEED to have some of these at the next Knavecon for our big X-Wing game. Being the resourceful gamers we all are, I reckon we can make it happen. I’m putting the word out, anyone who comes to the next Knavecon with a BIG x-wing ship under their arm will get a free Doughnut. There I said it, it’s now law. I quite fancy an Evacuation of Hoth type scenario on the day. Picture it ! Free donut… Well worth it! Do I get 2 if I get both of ’em?